A few months have passed since the release of the second-gen Apple Pencil. The presence of a new model usually translates to price cuts for its predecessor, yet we've hardly seen any discounts for the original stylus. A big reason for this is compatibility - the Apple Pencil 2 only works with the iPad Pro 11" and 12.9" from 2018, while the first-gen stylus can be used on the iPad Pro 10.5-inch, iPad (6th Generation), iPad Pro 12.9-inch (2nd Generation), iPad Pro 12.9-inch (1st Generation), and iPad Pro 9.7-inch models. If you're an owner of an iPad that falls into the latter category and would like to get an Apple Pencil for a reduced price, you might be interested by this eBay deal. A reseller with a 99.8% positive feedback is offering a 25%/$25 discount on the stylus. The units sold are in a "new (other)"/open box condition, with "minimal signs of use from processing". However, they come with an original Apple box and a 1-year warranty. Additionally, if you're not happy with your purchase, you can return it for free and get a full refund within 60 days, a period that is twice as long compared to usual. Shipping is also free. If this deal interests you, feel free to follow the above link to eBay. At the time of writing, more than 3,300 or 97% of units have been sold, meaning that there are less than a 100 of these up for grabs before the sale ends. 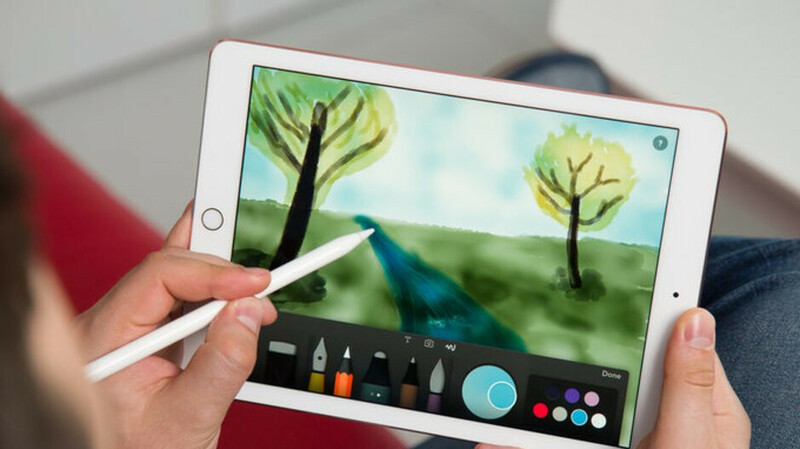 If you'd like to see which apps are great to use with the Apple Pencil, check out this article. This is the old one...you can't even charge it with the new iPads. Why would anyone get this now? I have the 10.5 pro and bought the pencil recently. It completely revolutionized my study on university. It's expensive but it is totally worth it. Yes. No more paper. No more looking for my old lessons. Everything is properly organized. I can write and draw on it, I can share my screen in real time to my collegues while I'm doing homework. It's a great product, expensive, but worth it. I'm no Apple sheep, it's just my opinion. If you're blinded by anti-apple"ism", that's your choice.